Yesterday was World Ballet Day. In a bounty of cultural peaks, today it was Poetry Day UK. The event had a hashtag theme #thinkofapoem, so I have had wonderful poems going round in my head all day. One that keeps popping in is Marina by TS Eliot. I think it’s the best poem ever written about being a parent – written by someone who never had children. Another thing which made my heart soar today was Deborah, Dowager Duchess of Devonshire’s funeral – that’s Debo Mitford, by the way, the last of the legendary sisters. Her death was the end of an era, but she was 94 and I can’t be sad about it – only poignant that such a very particular chapter of British life is now closed. And that cut glass accent, even rarer. What made me cheer is that she went off with all the style she lived in. 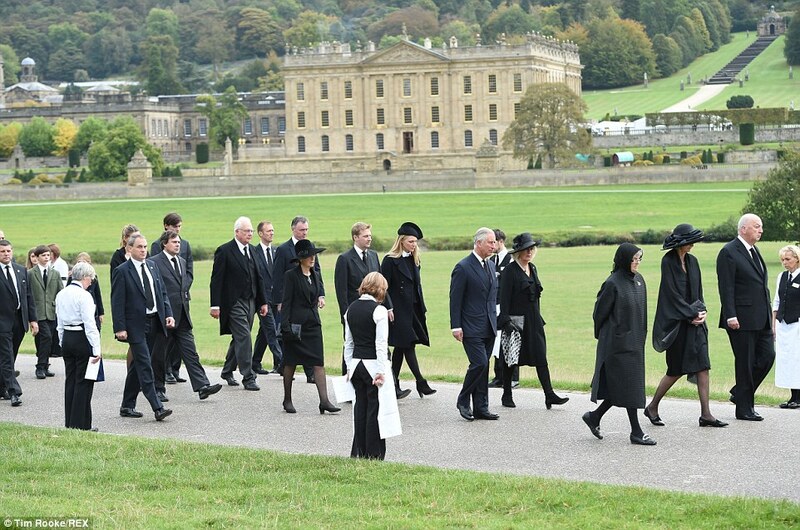 Her funeral cortage – with a wicker coffin, bedecked with flowers – set off from Chatsworth, one of the finest houses in the world, through the park for three quarters of a mile to the church in the estate village of Edensor. Prince Charles and Camilla were among the mourners walking behind the hearse. 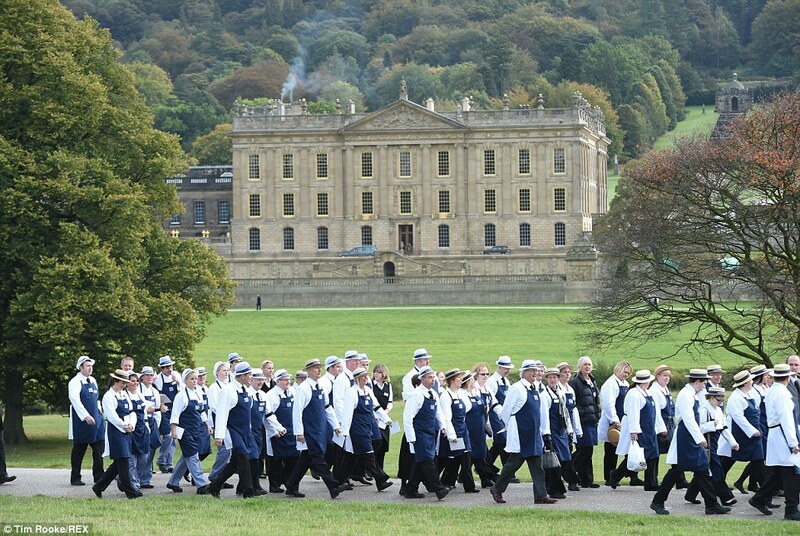 Six hundred Chatsworth staff lined the road for her final journey in their uniforms and a track by her adored Elvis was played during the funeral. The Daily Mail had brilliant pictures. I knew her time was rapidly approaching, but I still hoped she’d be around for a little longer. I remember loitering in the maze at Chatsworth once, stupidly hoping I’d bump into her. I met her once at a book talk at Hay Festival. She was heaven. Wearing a cloud grey dress with matching cloth coat and a huge diamond spider brooch. She signed my book and we talked about chickens, as I was keeping the same ones as her, at the time. The current Duchess hangs around the house and chats to people. She was lovely to my daughter who was about 10 at the time. Oh, bliss! She would have looked beautiful in that outfit. I still have the dinner bill from the Devonshire Arms – the best posh bangers and mash. I don’t know why I have always been fascinated by the Mitfords. Love in a Cold Climate was brilliant but quite sad as I became more aware of the family’s history. I was doubly saddened after reading Wait for Me! – the later chapters were a matter of fact revelation of a challenging marriage.